“Don’t let it lie in great sticks,” the Old Farmer’s Almanac urged its readers for December 1864. The season of sawing and splitting was here. For the local farmers, early December was the time to work on wood, not for the winter ahead, but for the next summer and beyond. Wood for stoves and fireplaces needed drying, for sap-filled “green” wood cuts heat output by a third. Split up, firewood dries quickly and, as the almanac exhorted, it was best left outside a while in the late-fall weather. “Give it the wind a few weeks before housing, and it will dry all right,” the “old farmer” wrote. 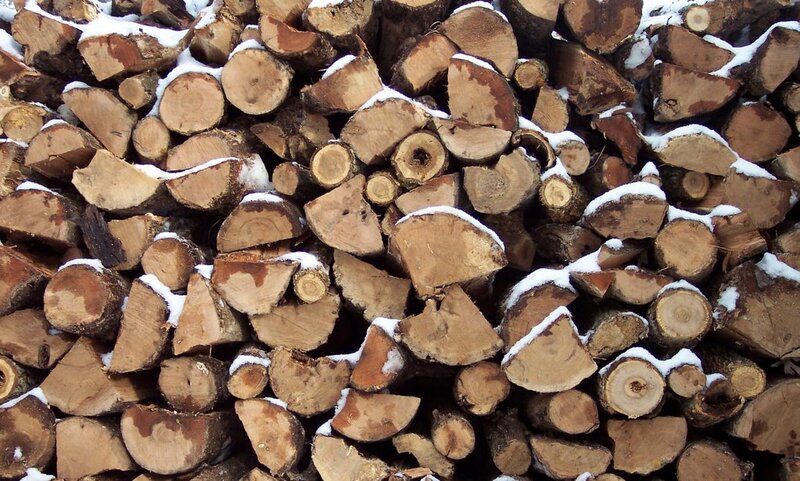 Today, many people still heat with wood, using sophisticated stoves that burn logs and even conveyor-fed wood pellets, or employing high-tech furnaces that can burn both wood and propane or fuel oil. But the old farmer’s old advice on firewood still holds true: Dry it right to burn it well.